I am installing Ubuntu in 2 schools that hold at least 1000 kids and wanted to know what programs are available in Ubuntu to teach this Kids. This kids range from ages 4 to 13. Programs that help in math, science, drawing and chemistry would be very good. 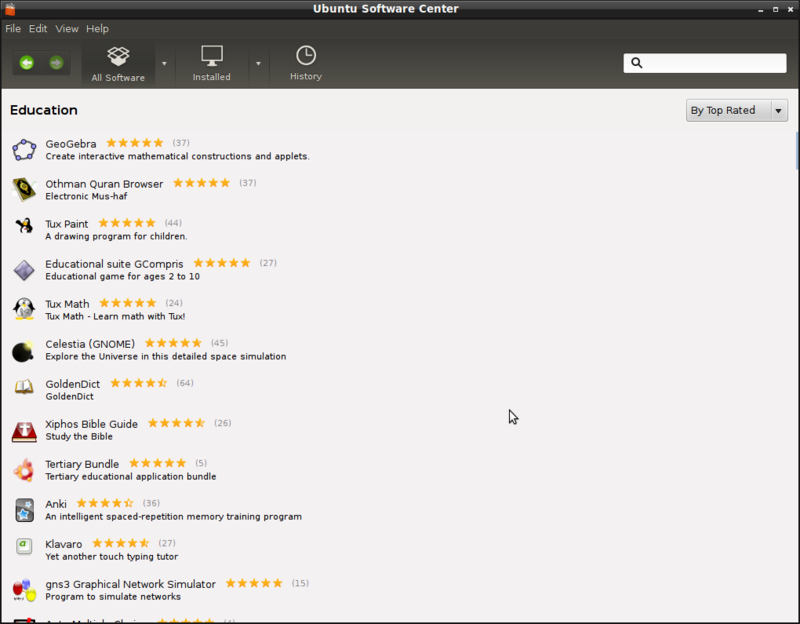 Go to the Ubuntu Software Center, Click on Education on the left side, and browse a list of educational programs. I have most of which installed ( specially the ones listed below)on my kids machine, and they love it. Edubuntu is the educational distribution of Ubuntu. This is a big hit with my children and it has 3 main elements. These are all available from the Ubuntu Software Centre. The interesting thing is that as the children grow so does the level of difficuly. Tux4Kids develops high-quality software for kids, with the goal of combining fun and learning into an irresistable package. Our software is free: you can download it for use at home or onto hundreds of computers in a school. We support all major platforms, including Windows, Macintosh, and Linux/Unix. Our programs are used by people around the globe, and they have been translated into dozens of different languages. As open-source software, these programs can be freely extended or customized, and they are supported by active communities of volunteer developers. Or any other packages listed here. is another project worth looking at for the size of your Project. It covers all your bases and a lot more besides. Floss based on the KDE technologies: students, parents, children, teachers, adults, can freely use it, copy it, and modify. I have used many of the applications (not all) with great success. Not the answer you're looking for? 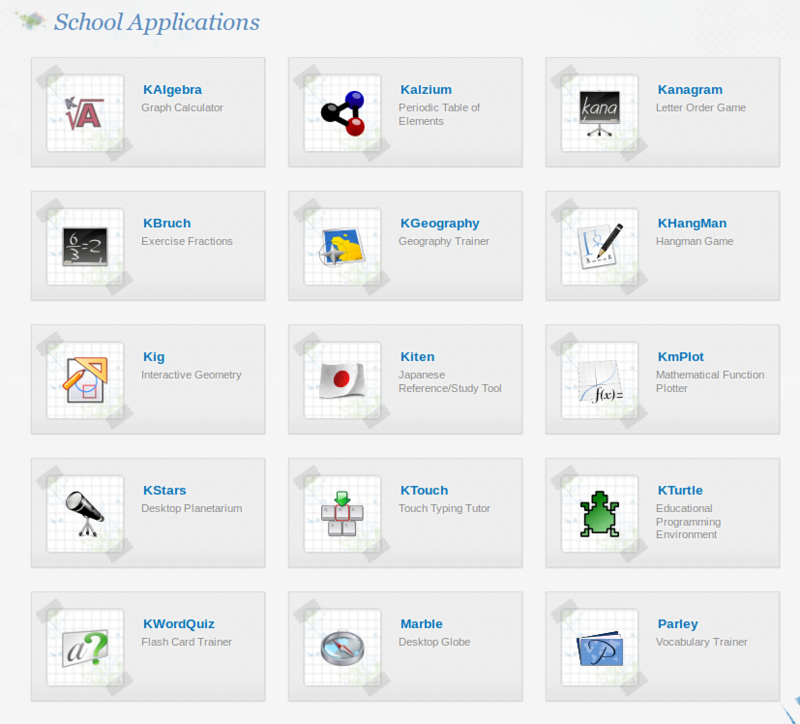 Browse other questions tagged software-recommendation education or ask your own question. Qute — Worthy or what's its analogue? What are the different Unity Web-apps that are available? Notetaking Software that supports Mathematics, code, and pictures?